The units have integrated heat pump function for both heating and cooling. In Hot climates only the cooling mode can be selected. 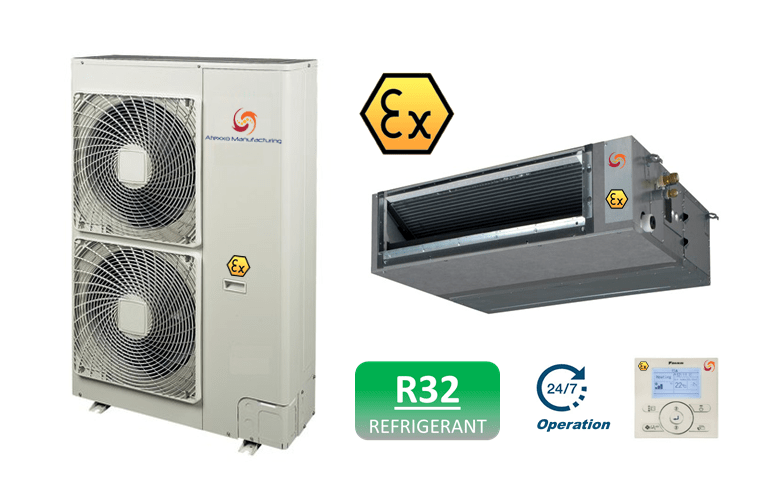 The Explosion Proof Air conditioners and ATEX split units are equipped with European approved R-32 refrigerant, with zero ozon depletion potential (ODP) and a low global warming potential (GWP) of just 675. The sets consist of ATEX approved outdoor-, EX rated ducted indoor unit for concealed ceiling applications and explosion proof wired remote controller. Using multiple explosion protective measures to ensure safe operations in hazardous environments. 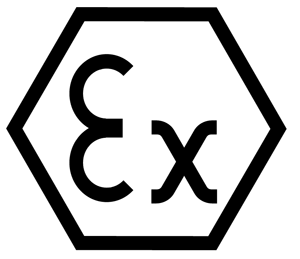 Conversion to ATEX explosion safe is in line with Atexxo’s philosophy of providing excellent explosion protection while maintaining nearly all features of the original product. This makes the ATEX Air Conditioners easy to install and operate. The above picture demonstrates some of the protective anti-explosion measures intergraded in Atexxo’s ducted indoor unit. All modifications are according to safety standards, well documented and tested. Standard units are available from Daikin, other brands can be delivered on request. Please contact us for other capacities and or configurations e.g. 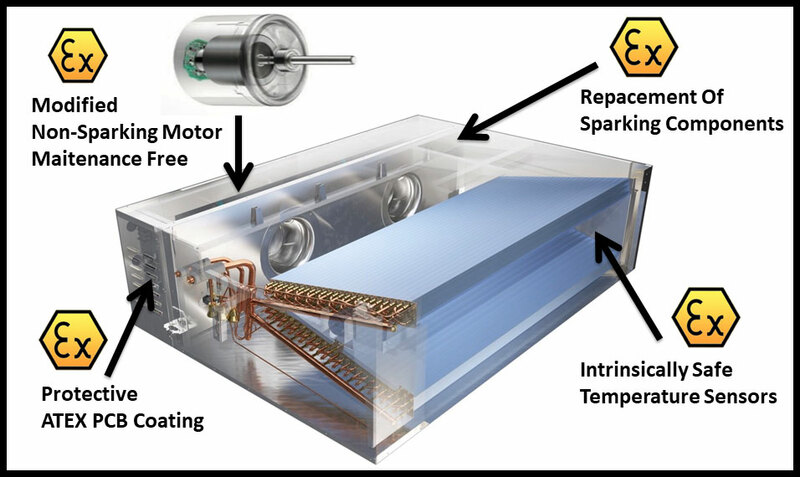 multi-split systems or chillers.